Former Sunday Times journalist Paul Kimmage has lodged a criminal complaint against International Cycling Union president Pat McQuaid and honorary president Hein Verbruggen in a move which will subject the leadership of the world governing body to further scrutiny. The UCI, McQuaid and Verbruggen last week announced they were suspending defamation proceedings against former Sunday Times journalist Kimmage pending the results of an independent report. Now former rider Kimmage, who has been hugely critical of the UCI leadership's response to doping in cycling, has launched proceedings of his own as the impact of the Lance Armstrong affair shows no sign of abating. Kimmage wrote on Twitter: "I have lodged a criminal complaint against Hein Verbruggen and Pat McQuaid. "I have initiated these proceedings not for myself – this is not about Paul Kimmage, but on behalf of the whistle blowers – Stephen Swart, Frankie Andreu, Floyd Landis, Christophe Bassons, Nicolas Aubier, Gilles Delion, Graeme Obree and every other cyclist who stood up for truth and the sport they loved and were dismissed as "cowards" and "scumbags" by Verbruggen and McQuaid." A statement released by Kimmage's lawyers, Bonnard Lawson, said the complaint had been lodged with the public prosecutor in the Swiss town of Vevey. The statement added: "Paul Kimmage complains, among other things, that he was dragged through the mud, that he was called a liar in public and accused in public of committing offences against the honour after he had obtained the publication of an interview by Floyd Landis in which the latter denounced the conduct of the highest officials of the International Cycling Union (UCI)." Armstrong was formally stripped of his seven Tour de France titles last month by the UCI who ratified the United States Anti-Doping Agency's decision to ban the American from cycling for life for doping offences. 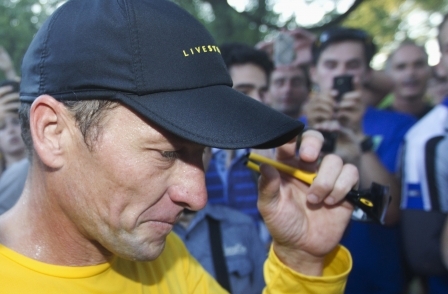 Armstrong denies doping. Last month Kimmage told Press Gazette of fears that a defamation action brought against him by the sport’s governing body was an attempt to silence his 22-year crusade to expose doping. 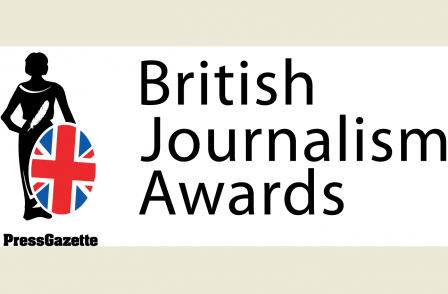 The award-winning journalist, who came fifth in Press Gazette's top 50 sports journalists, was hit with a Swiss lawsuit two weeks after being made redundant by the paper in January, and was served with a subpoena last Wednesday summoning him to a court in the town of Vevey, near Geneva, on 12 December. In response to the action, the US site nyvelocity.com, which published a full transcript of the Landis interview, set up the Paul Kimmage defense fund to his legal battle against the UCI. More than $87,000 has been raised so far. While the articles the Union Cycliste Internationale (UCI) claims are defamatory were published in The Sunday Times and L’Equipe, the body was targeting Kimmage personally and was not pursuing any action against the publishers.